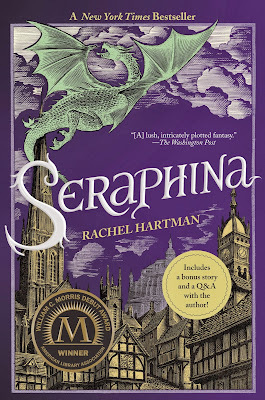 Seraphina Dombegh lives in a world in which there is an uneasy truce between dragons and humans. She has secrets of her own, and when a member of the royal family is murdered in a way that seems to can only have been perpetrated by a dragon, she finds herself plunged in the middle of a complex and dangerous situation. Instead of protecting her own safely by discreetly staying in the shadows as she's been taught, Seraphina finds herself continually brought to the attention of people who could, if they knew her secret, make life very difficult for her. I didn't know much about this book before reading it, and I'm glad. It was one of those delightful stories that just sucked me into a world that is fascinating and surprising, populated by compelling characters that I came to care about. There's magic, action, adventure, danger, romance, mystery and intrigue - what's not to like? Although the novel stands well on its own, there a sequel slated to be published next year. And anyone who reads this book will be happy about that. This is a great choice for anyone who enjoys a good fantasy novel with excellent world-building, or a book with a strong and likable female protagonist. Highly recommended! I am kind of looking forward to the sequel and kind of not? Because I am afraid of what is going to happen to the characters I loved so much, and if I don't read it then I can decide they lived happily ever after. 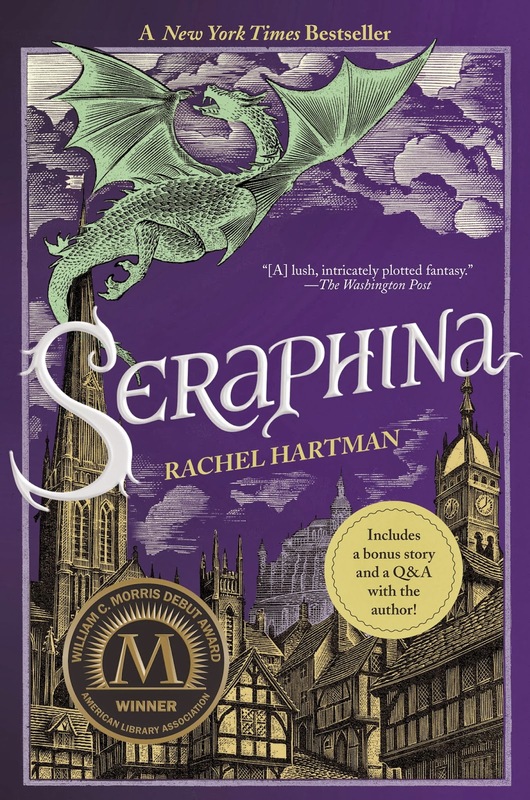 Seraphina is one of the best fantasy characters I've encountered lately, and I thought Hartman did a fantastic job with most of the minor characters too. I know just what you mean, Kiirstin! It ends well enough for me to be satisfied - imagining only happiness for these amazing characters in the future. But at the same time I'm looking forward to spending more time with them.